“The Second Civil War, also known as “The Heartland War,” was a long and bloody conflict fought over a single issue. “To end the war, a set of constitutional amendments, known as “The Bill of Life” was passed. “It satisfied both the Pro-life and the Pro-Choice armies. “The Bill of Life states that human life may not be touched from the moment of conception until a child reaches the age of thirteen. “However, between the ages of thirteen and eighteen, a parent may choose to retroactively ‘abort’ a child . . .
“. . .on the condition that the child’s life doesn’t ‘technically’ end. 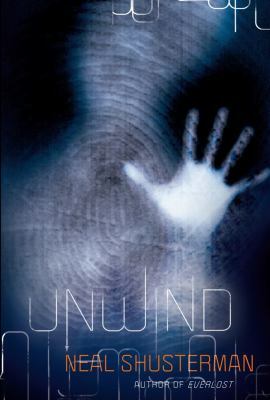 So opens the YA novel Unwind by Neal Shusterman. I read the first few pages aloud on Saturday at a banned and challenged book event because I figured no one else would have chosen this book to read as it’s fairly new. From the above opening prologue, you can guess that the book is controversial. But it’s a thoughtful piece on the value of the individual in a free society, and on what happens when people just can’t admit that they don’t have all the answers. It’s also a great read. Connor, who can’t control his anger, is sixteen and his parents have had it. He discovers that they secretly plan to unwind him, and he heads out on the run. Risa is a ward of the state, who, having failed at becoming a top-tier classical pianist, will be unwound because there just isn’t money for the state to keep useless teens. Lev is a ‘tithe’—because of his parents’ religious fervor, they will unwind him—their tenth child–as an offering to God. All three are on the run. If they can make it to age eighteen, they might go to jail for awhile, but they are safe from being unwound. Action-packed, full of suspense, posing some deeper questions—this is another book for varied readers looking for very different things. I think just about everyone will like it. And that includes guys who usually don’t read. Check it out! This entry was posted in "Banned Book", Adventure Stories, Controversial Issue/Debate, Family Problems, Fiction, Human Rights Issues, Literary Read Alike, Sci-Fi/Futuristic, Young Adult Literature. Bookmark the permalink.